“The goal of an artist is to create art that makes people look at the world in a different way.” Janhvi Gupta, a student from TSVS has done this very effectively with her painting on the ill effects of Global Warming. 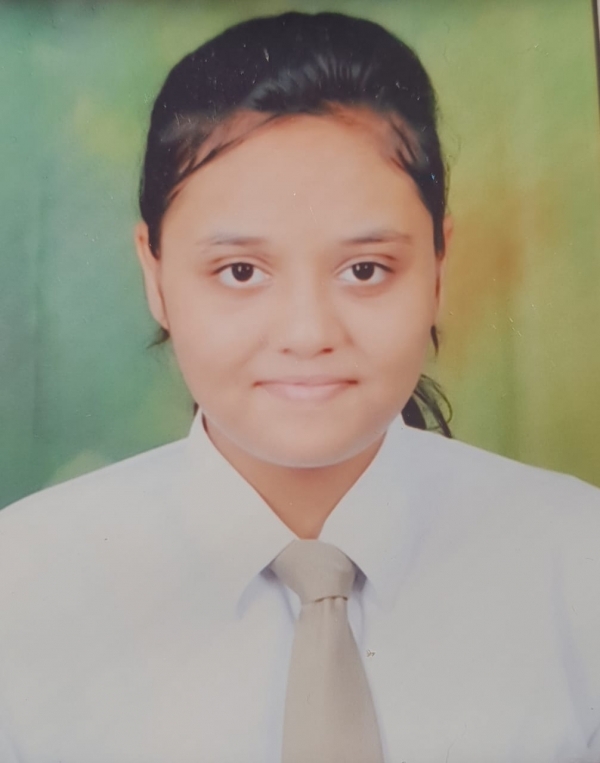 Her painting was an entry for the art competition ‘Artistic Impact 2018’ organized by IIT Bombay on the NSS Day. Her creativity & deep insight has made her win the first prize in this pan-India socio-art competition. She chose global warming as her subject for the category ‘Social Canvas’ as it is an “economic and security threat” in the words of Kofi Anan. 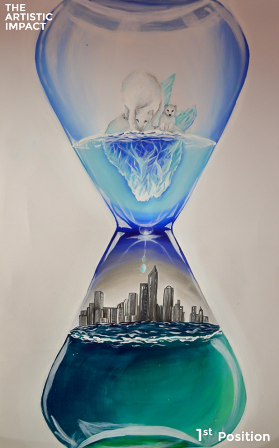 Her painting depicts an hourglass with its upper half as a melting glacier threatening its inhabitants and the lower half depicting a melting metropolitan world as the water fills the bottom of the hourglass drop by drop.